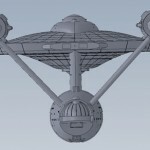 You are currently browsing the Collector Model blog archives for May, 2011. So, how was your weekend? If I can count my day off after Wonderfest as my weekend, I can say mine was restful. The week of the show was incredibly busy working day and night to prepare for it. As always, it was a good show. I really get an energy boost from it by being able to talk to all of our customers out there that enjoy the product I pour so much time and effort into. This year, we had our usual display of buildups and our annual survey. This year’s version had quite a bit less of letting us know what you want as far as specific model subjects go (we have a pretty good handle on that by now) and focused more on your process. On Saturday at noon, we held our panel in Theater A. Everyone that had come to the booth asking what our big announcement would be, attended the panel. I was happy to see all of the familiar faces. I hate the idea of getting up in front of a crowd and speaking but I stumbled through the first part where I talked about all of the more boring stuff about the company without losing anyone. After a very short Q&A I read a letter from Tom Lowe. Those who weren’t there can read it here. 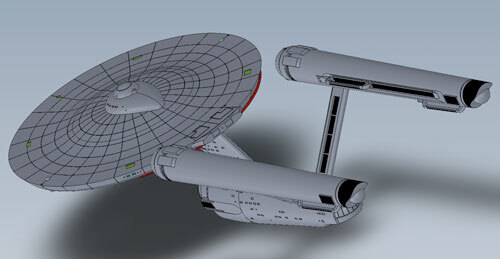 So we will be producing a 1:350 sale TOS Enterprise and we’ll be presenting it a couple ways. I will summarize our plans here. 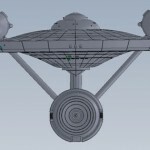 This will contain everything you need to create the production version of the ship including shuttle bay and will be available through all of your usual model retailers for an SRP of $124.95. 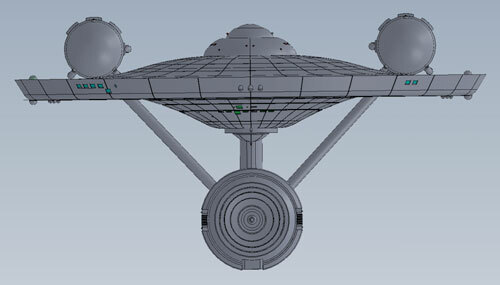 This will include weathering decals, photo-etched parts and a light kit including motors to turn the Bussard fan blades. We have a target price for this but will announce it once the time comes to take orders on it. This was the kit we were talking up the most and for obvious reasons. 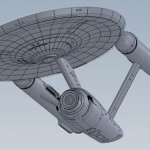 It includes everything in the standard version plus parts to make the 1st & 2nd Pilot versions. It comes in a commemorative box and includes a serial-numbered certificate of authenticity. The kit is a limited edition of 1701 pieces for the price of $149.99 and is scheduled to arrive before the standard version hits stores. 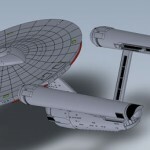 The kit is really aimed at all of you Star Trek modelers who have been waiting patiently for the kit to come out. It is available exclusively through Round 2 and we started the pre-order sign-ups at the show. As an added bonus, everyone who pre-orders is invited to join what we are calling the 1701 CLUB. Membership in the club gets you a t-shirt to wear as a banner to tell everyone that you were there on the ground floor of this kit. The shirts themselves are also limited editions. We have 100 gold, 250 blue and the rest are red. Members will be sent email updates about the development as well as some interviews and a few never before seen pics of the filming model. This will be the ONLY place we will be giving out development updates. So past this post, this blog will be mum on the subject until the standard kit is ready to hit the stores. The kits will be out sometime in 2012. It could be anytime between March and October. You can reserve up to 5 Premiere kits right now but if we have 1701 members, 1701 people will get kits. If we fall short of that number we will come up with a system to allocate the rest. Only one shirt per member regardless of how many kits you want to buy. 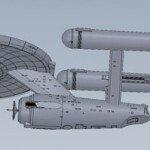 You can register for the 1701 CLUB and reserve your kits here. We still had some gold shirts available after Wonderfest but the people who have found the sign up page have taken us well into the blue ones. If more than 1701 people register for the presell, anyone over that number can still signup and may be offered the chance to buy a kit if someone else decides not to buy their kit. We will likely release the pilot parts separately once all of the Premiere Edition kits have been sold out. 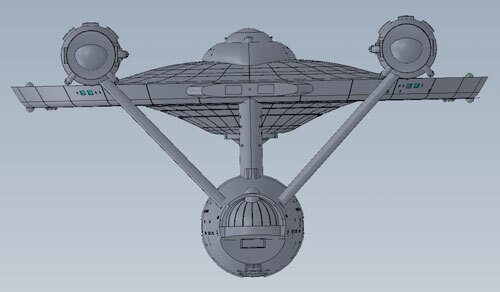 The combined SRP for a standard kit and the extra parts will be no less than the price of the Premiere Edition. We taped the whole presentation and hope to have it edited to put up on You Tube. It wasn’t much of a site as far flashy graphics goes. It was just me and then me and Gary Kerr talking. 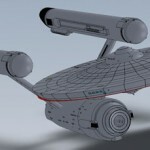 I did show the first images of the digital mockup from the factory. They made some pretty glaring mistakes but they also got a ton of it right to my surprise. I credit Gary for that one. 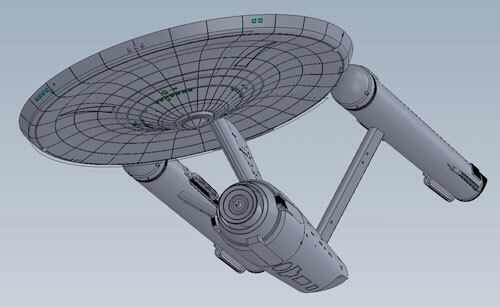 So here are the pics of the mockup in its current form. I’ll let you know when the You Tube video goes up and then it will be radio silence. Go sign up for the CLUB, if you please.